A pack for all occasions. Going anywhere for a few days? Do you need a bunch of stuff with you each day for the commute to work? Either way, you'll need a tough, versatile backpack to stow all that precious cargo - one that both looks awesome and won't leave you so poor you'll be unable to buy anything to go in it. 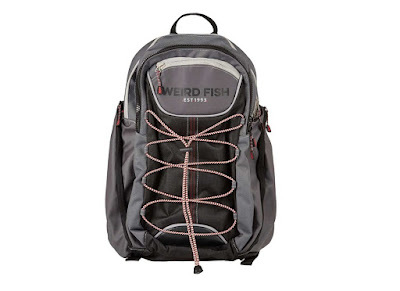 We check out the Weird Fish Firefighter Backpack. This is the first accessory product we've reviewed from Weird Fish, as usually they send us their excellent Macaroni sweatshirts to test (such as here, here, and here). Just like the clothing, this pack is well made, seems pretty tough, and sports some good looks. It is made from polyester 'ripstop' fabric and features a showerproof PU coating to keep out the rain. 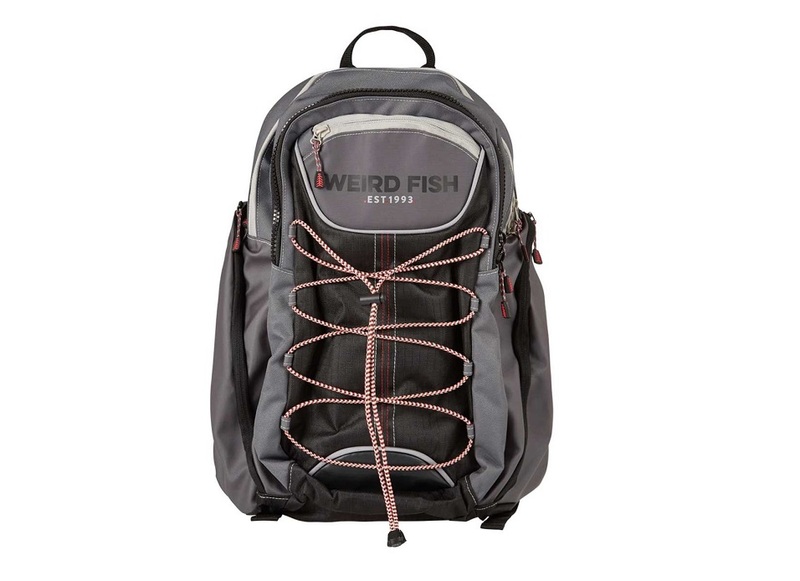 Weird Fish are pushing this technical backpack as a bit of a one-stop shop, and it's easy to see why. We've been testing it on the daily commute to the office, but due to the internal size and toughness of the outer fabric, this could also serve as a camping or hiking pack, as well as a weekend travel bag. There are ergonomically curved and padded adjustable straps, complete with chest clip, and also a padded mesh back panel to keep you cool. Onto the pockets... at the back there is the first of the largest two pockets, with this one boasting a padded laptop sleeve. In front of that is a similar sized compartment, without any internal sleeves. Weirdly the inside of this pocket can be pulled out and inverted, making it great for loose items and possibly even damp clothing. Moving forward you get a narrower compartment with a few internal pockets for change, keys and bits and bobs. Either side of the Weird Fish Firefighter Backpack is blessed with a large vertical pocket perfect for water bottles - large water bottles for that matter. 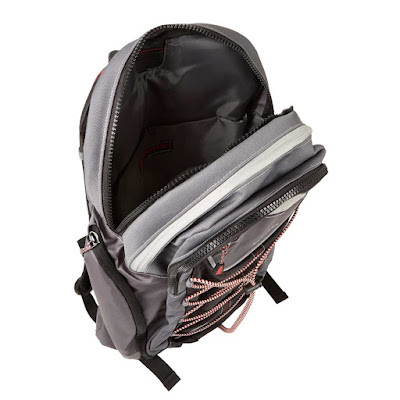 We're big fans of side compartments that are more than just open mesh pockets. And you might've noticed on the front of the bag you get adjustable bungee cords. This can either be used to strap a few external objects to the bag (like a drone, maybe? ), and also tightened to act like compression straps. Either way, bloody useful. Also, on the inside back between the straps, there is a weird little access port into the laptop pocket We're assuming is this for a camel pack tube, should you be using it while hiking with the water pack in the laptop compartment itself (without the laptop, hopefully! ), or it could also be used as access for a power cable if you have a portable power pack in there. Up to you.